The responses of these two kids had me in hysterics!! 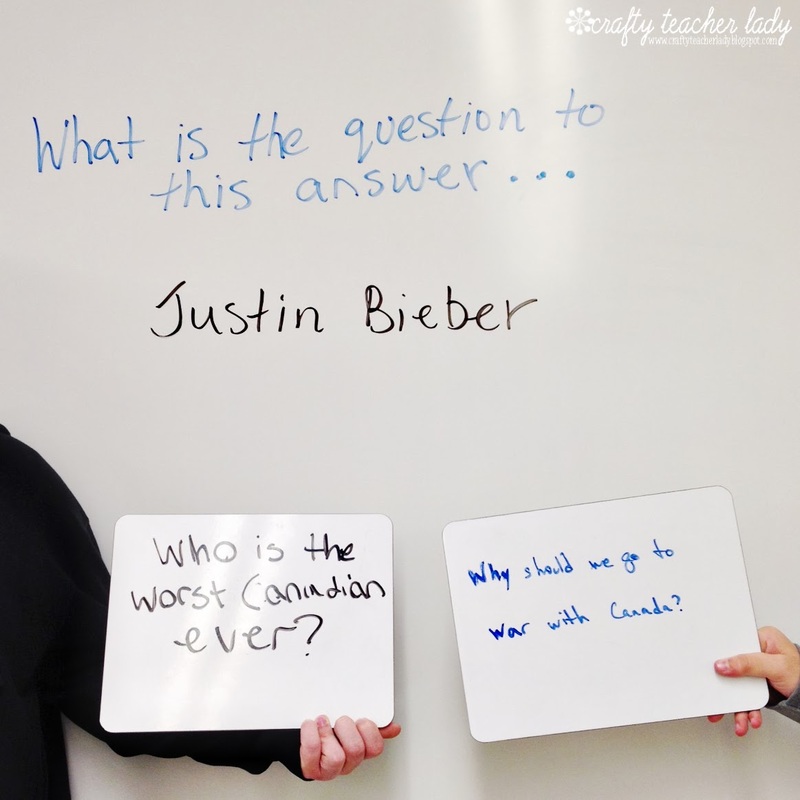 They are so witty and, oddly, both had to do with Canada (I'm half Canadian, FYI)! The kids were laughing, too, which was a great way to get them interested in continuing with the review activity! Posing the question rather than the answer requires them to think in a different way and really tests their knowledge on a subject. Guess Who? 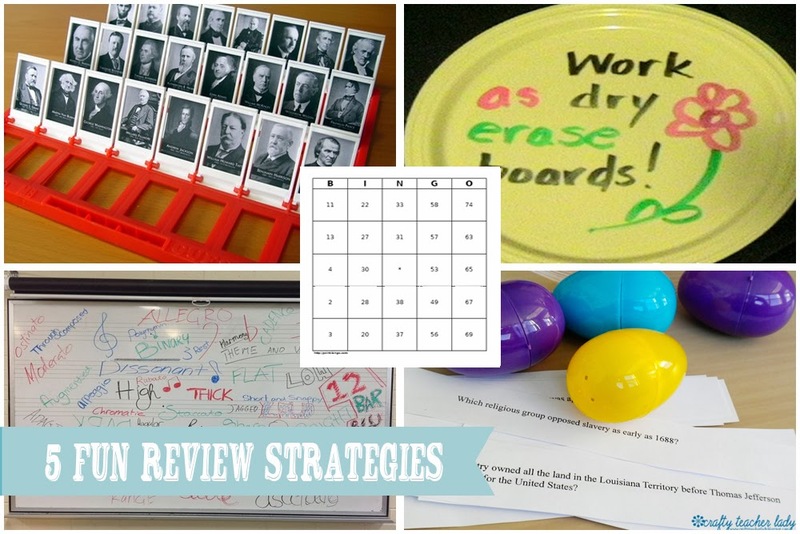 : A twist on the board game using pictures of important people, events, etc. Order your own game and rig up your own cards! Classic Bingo: Create and print your own Bingo cards using your own key terms & content! After 10 years of teaching, this is still a favorite game amongst high school students! Individual Dry Erase Boards: I ordered some individual mini-white boards from W.B. Mason which are really great to use for review, however, an inexpensive version would be using shiny plastic plates! So clever! Graffiti Board: Write vocabulary on the board and have students erase a word/concept that they know and explain/give it's definition. Repeat until all the content has been explained & reviewed. Trivia Egg Hunt: Some time each spring, I fill plastic eggs with trivia questions from content we've learned throughout the year. Then I hide the eggs around the classroom and tell the students to 'hunt' for them! When they've all found one, they open their egg and have to answer the trivia question before they can have the treat inside (usually erasers, small pencil sharpeners, etc. ).